ok, so I've never owned a fender bass... ibanez, had a rickenbacker once, gibson etc etc etc... but i've never owned a fender, i had a play around on a friends Fender P bass, and tbh... i really liked it, i've usually only ever played with jazz basses so precision pick ups would be a nice change, i would just like to know what you guys could advise me about fender basses, i hear their production qaulity varies and its better to thoroughly try them out before purchase. if anyone has any insight or anything really to say id love to read your input. I have never really had a good play time with one so I can't tell you much. The main thing that I will tell you however (And I only know this from being on UG too much) is that where it's made is definitely a huge difference. Japan and America are clearly the better ones. This extent stretches so far in fact that many people would say that a Squier Vintage Modified series bass will end up being better than a Fender bass that is made in Mexico. I upgraded my squier classic vibe p bass pickups and it sounds awesome. Well Squier basses aren't really that bad and the vintage modified series specifically is turning out to be really good. Well if you're in it for the name and on a budget, I would totally consider a Mexican Fender. You can always mod it and get whatever sound you damn well please. There is a tremendous amount of upgrade parts for P and J style instruments. 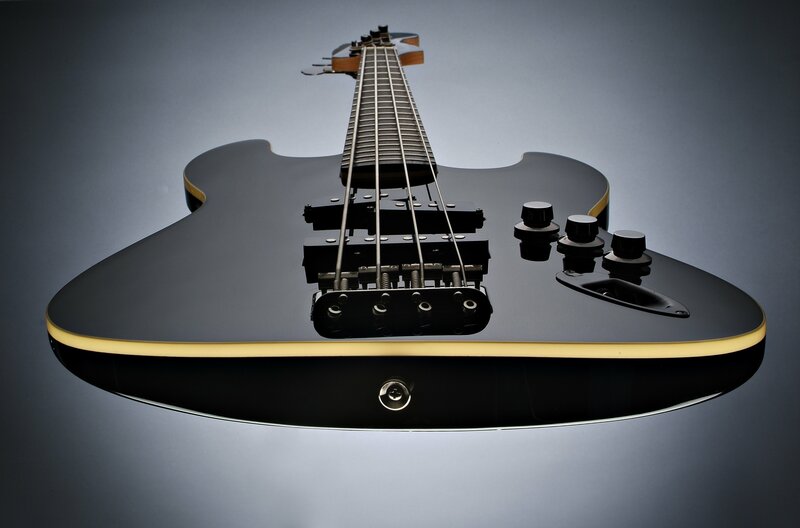 Want a fretless neck just because? I promise you, it's out there on the web somewhere. If you've got a little skill with woodworking you can even put actives in it. Put parts from a more high-end Fender in there. But if you can afford an American and are willing to blow a quick wad, then by all means. The do use much finer wood in American and Japanese models, but the differences are only noticeable for someone that's been spoiled by a Fender from the get go. I personally have a Fender in mind for my next bass as well. Could that picture have been any bigger? And since we are sort of on the topic, I was at guitar center months ago and there was a used fretless Fender for sale for $160. Can someone explain that? Possibly needed serious repairs or was a floor model maybe. Sounds like a deal to me . Grab that while you can. I loves me a good Fender! A quick note about Squier etc. : Their vintage modified series does seem to be getting a lot of good reviews, even from bass magazines that I read. So if you want a budget version, they would be one to consider. The mexican Jazz: It is fantastic. There is nothing wrong (from my experience!) with the build quality, parts quality, sound quality... anything. My only issue is that one or two of the screws in the bridge saddles keep lowering, which means I have to adjust them quite often. I don't think that's a common issue, and I could probably fix it if I could be bothered! Sound wise, I can get pretty much any sound out of it I want. I have no complaints about the quality of the sound, the pickups, etc. etc. The American Precision: Holy mother of God. This thing is immense. I love it. It goes with my everywhere. It holds its tuning VERY well - I can leave it for weeks, and it'll only be a little bit flat. If you can afford an American version, go for it. You won't regret it! A new 'HMV' bridge - now allows for string-through-body, and the design means that it's rock solid - I don't think I've had to adjust mine more than once. Graphite reinforced neck - The neck on this is fantastic, and I've only had to adjust the truss rod once (compared with once every few months on the mexican jazz). Lighter paint, meaning the paint weighs 30% less - I could definatley tell the mexican was heavier, so if you're going to be gigging consider this. The american was much lighter, the sound was much clearer & packed a bit more punch. They both played equally well; it wasn't easier to play the american or anything. My advice: Be sure to try out the bass you want. If you buy the mexican version, you won't be dissapointed, they're good basses. If you can afford the american & are willing to spend the money, go for it - the extra is worth it. If you have any questions on Fender, mexican/american, or precision / jazz basses, just ask! Well, I completely love Jazz Bass of all kinds. I still use my trusty Squier that I've had for about 9 years now, but also have a Fender Jazz. There were many times when I was deciding on getting a Fender - I did play a few Mexican Fenders, but I remember thinking to myself, do I really want to be forking out on something that feels the same as my Squier, minus the sentimental value. Also, I was too scared to go for an American Fender because of the price.. In the end I went for a Japanese Fender Jazz, and don't regret it one bit. I still use my Squier when out and about though - The Fender rarely leaves the house..